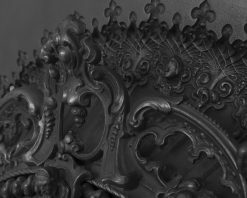 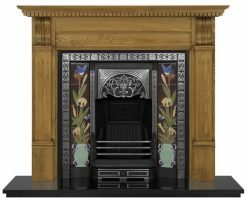 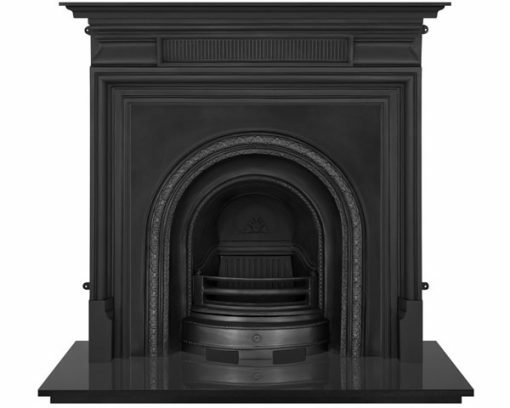 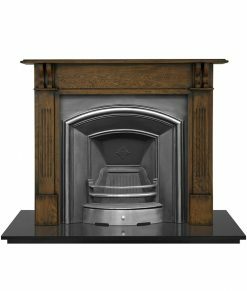 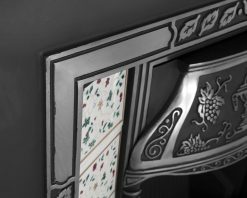 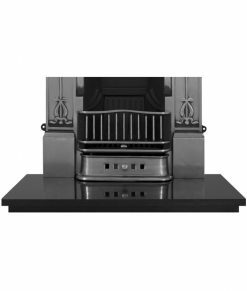 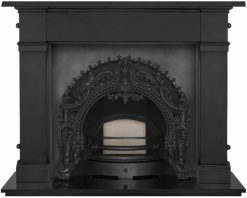 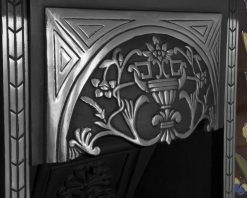 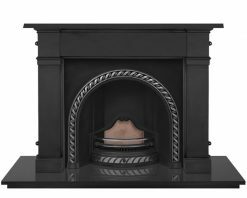 The Scotia fireplace insert is an authentic reproduction of an original early Victorian cast iron fireplace, dating from around 1860. 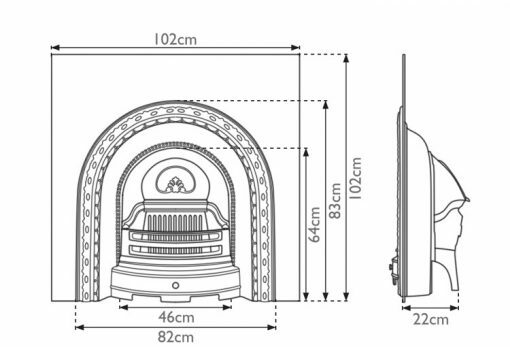 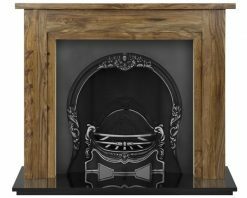 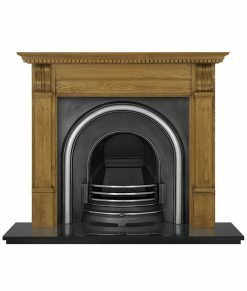 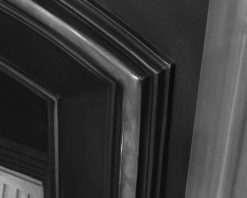 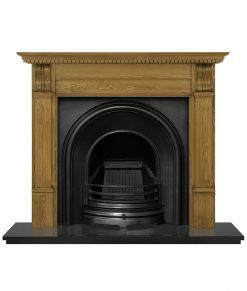 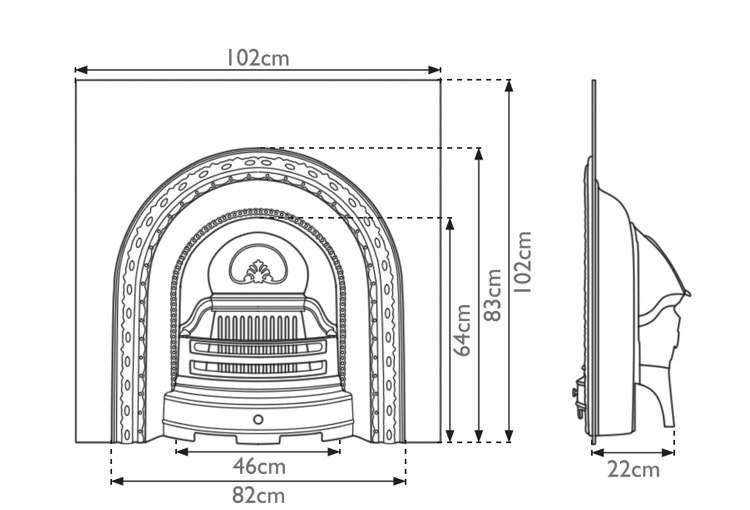 The Scotia arched fireplace insert is an authentic reproduction of an original early Victorian fireplace, dating from around 1860. 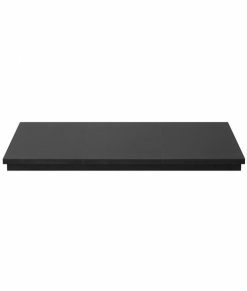 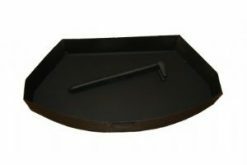 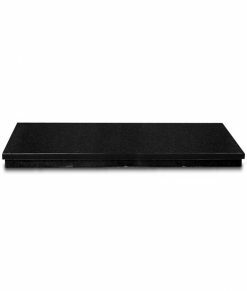 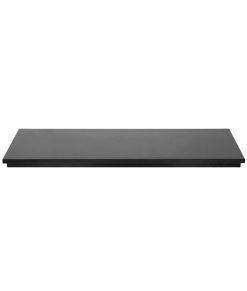 It is available in black finish and can be used for solid fuels with the optional ash pan (DJX036) or be fitted with our gas fires. 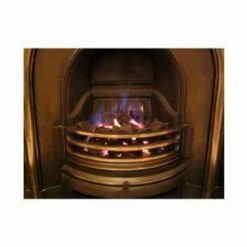 The fireplace can be fitted with any of our standard fire surrounds. 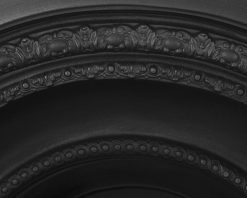 The opening to the Scotia is surrounded by a recessed double archway, both with wonderfully different designs that compliment each other. 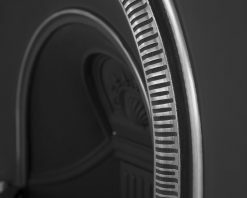 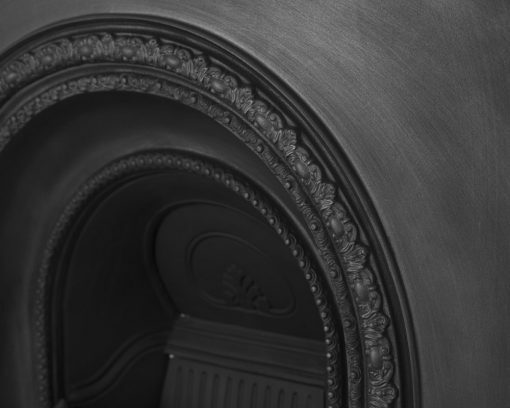 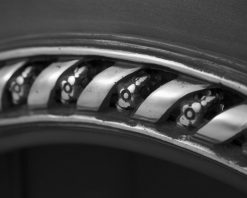 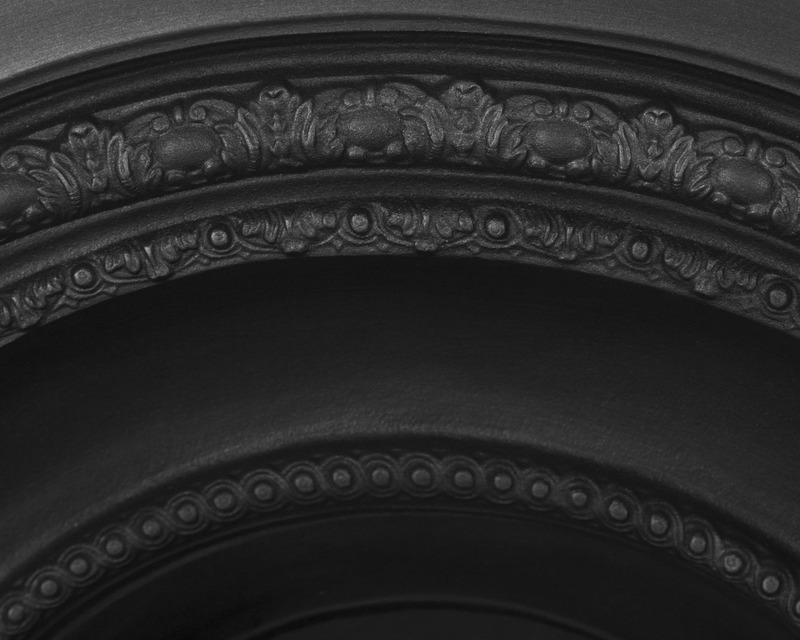 The patterned detailing that surrounds the outer arch is complimented perfectly by the subtle beading of the inner. The bars and ash cover are both curved, in keeping with the design of the insert. 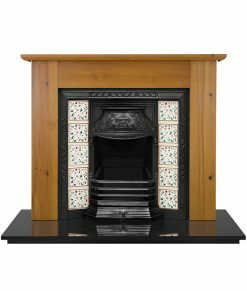 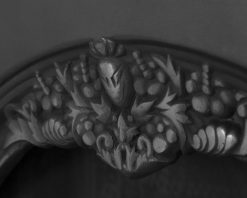 The Scotia fireplace is produced by Carron.